What’s been a wild several of days. 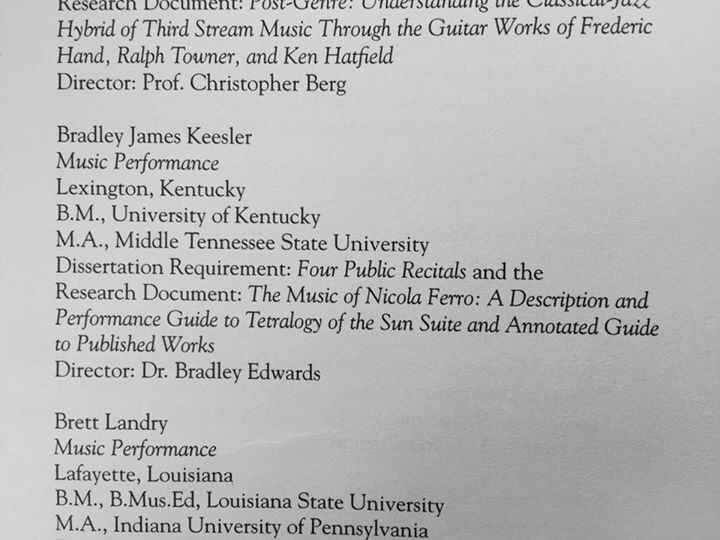 On May 7, 2016, my nephew, Bradley James Keesler graduated from the University of South Carolina with his Doctoral degree in Music Performance. My dad and I decided to make the long trip from San Antonio to Belton, South Carolina to watch him graduate. It was a great visit with my sister and her family. I couldn’t be more proud of Brad. He worked so hard to get his degree. Here are some pictures from that special occasion. 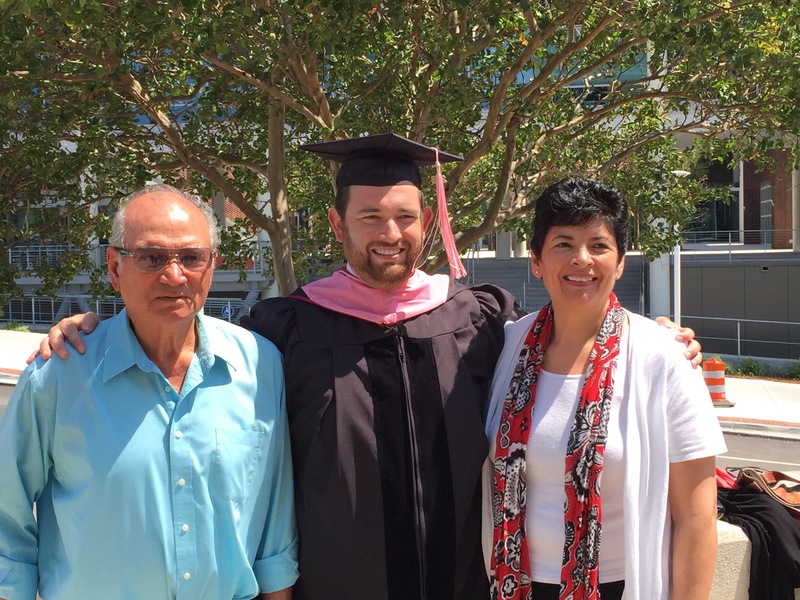 Grandpa, Dr. Bradley James Keesler and mother, Cynthia Garza Keesler. 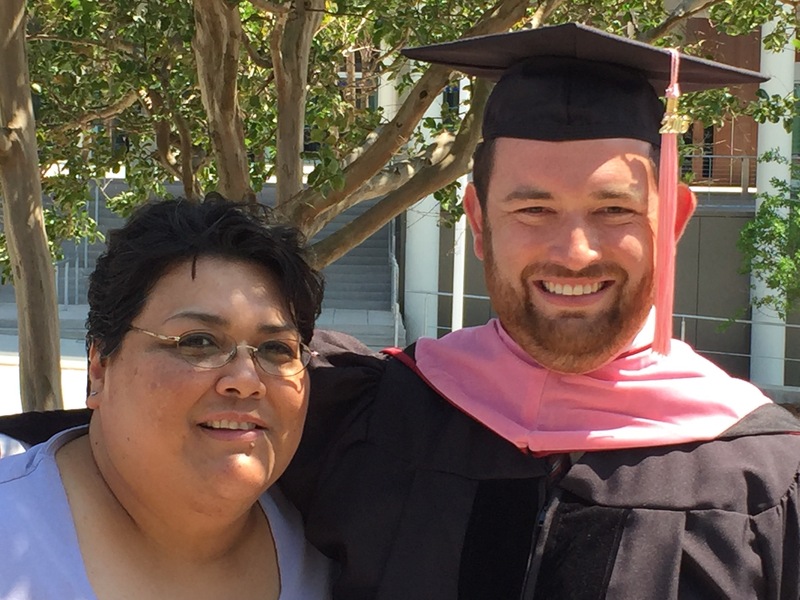 The proud Aunt and her nephew, Dr. Bradley James Keesler. 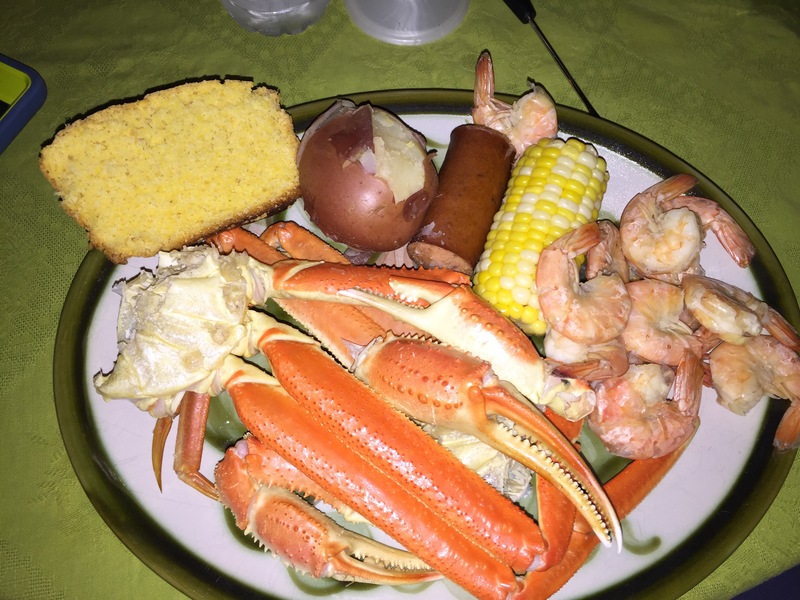 Dr. Brad wanted “Low Country Bowl” for dinner. 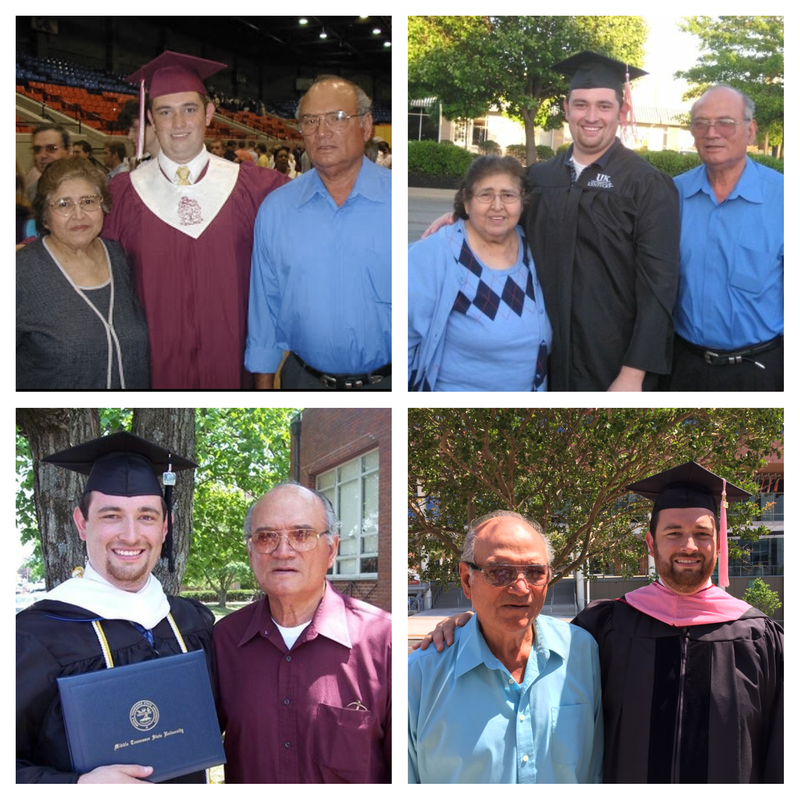 How cool is this… Grandpa at Brad’s graduations from High School, University of Kentucky, Middle Tennessee State University and University of South Carolina. 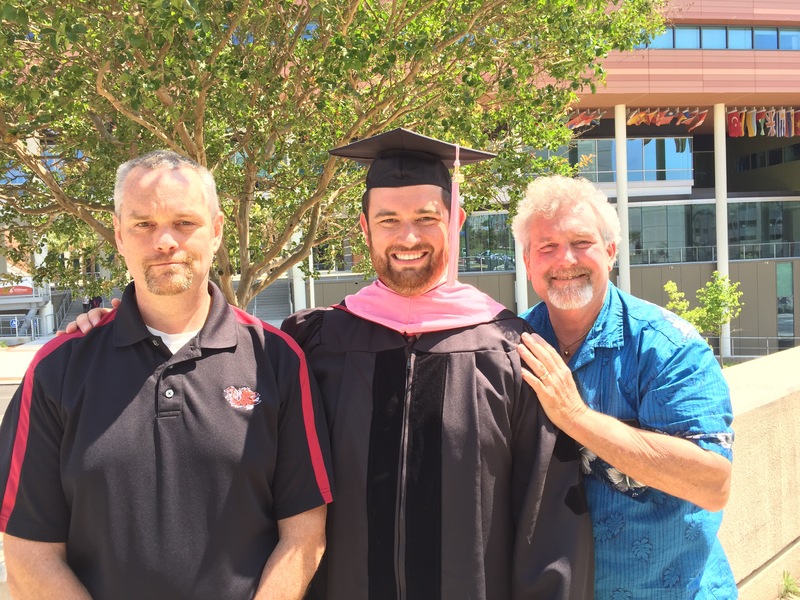 So after 16.5 hours, 1,133 miles, 6 States… I was tired… but would do it all again to see my nephew, Brad Keesler graduate with his Doctoral degree.